This navy lace dress is from Just B Boutique, which is located off of Richmond Avenue. This dress features a sweet heart neckline and a deep v and is perfect for any black tie event you may attend for New Year’s. This dress from Prevue Boutique is perfect for any flapper themed parties. The golden, beaded fringe gives the garments a sense of whimsy and looks mesmerizing for when you hit the dance floor. 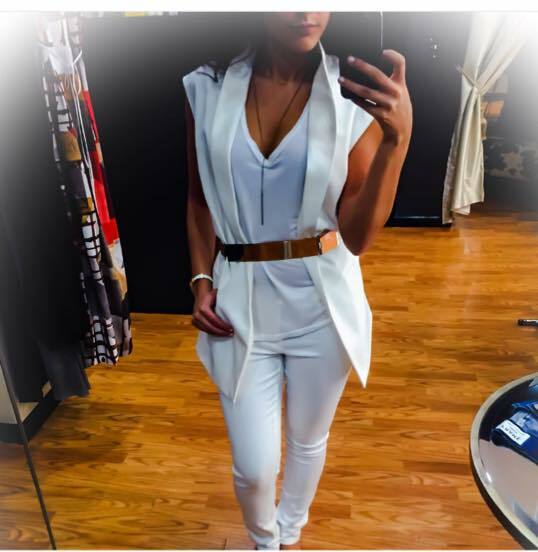 This romper from Sanctuary Boutique is inspired by the Kardashian clan. This romper is perfect for showing off your curves and for spending New Year’s at a club. This piece from Emily’s Boutique is from their Alice+Olivia collection. It is the perfect way to combine casual comfort with classic style. 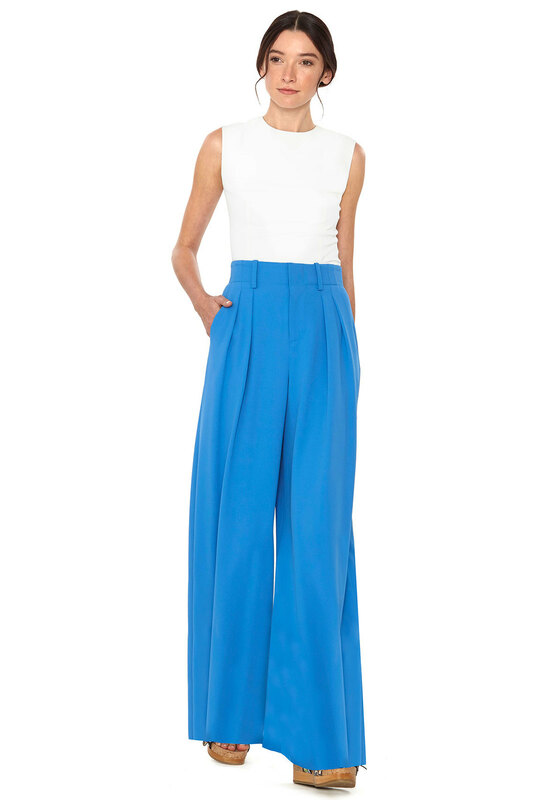 The blue pants are also a great pop of color, and did we mention that they are very comfortable? This romper is also from Just B Boutique. The pattern almost looks like a snake skin, and the deep v is great for showing off a statement necklace. This is a great look for if you are spending New Year’s at home or with your friends and family. 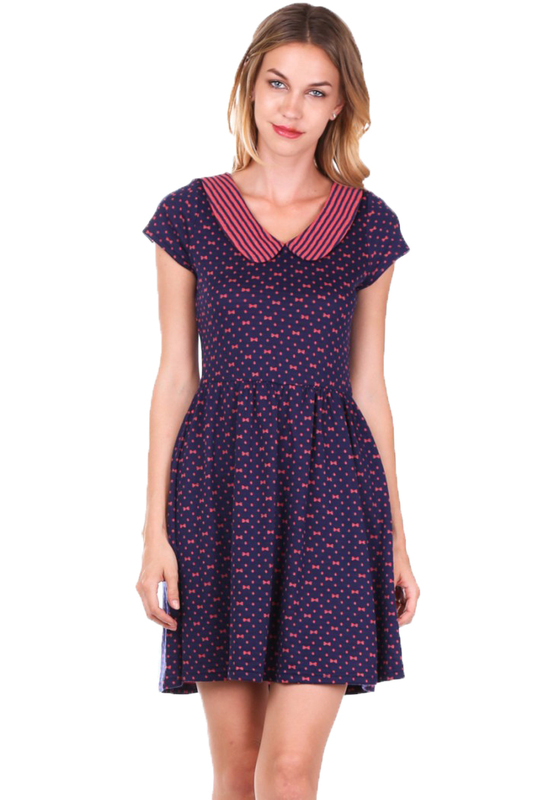 This polka dot dress from Hey Viv is perfect for any retro chic woman. The peter pan collar is a darling detail which can be pulled off by any body type. Might we recommend pairing this dress with some of Hey Viv’s classic gloves? They are the perfect way to feel the old Hollywood glamour of the 40s and the 50s. Monkey Girlz is a consignment shop located off of Manor Road. They carry various vintage clothing from high end designers such as Prada, Micheal Kors, and Burberry. During the winter, their fur coat selection is fierce. And to make the hunt for the perfect outfit even sweeter, Monkey Girlz is offering, for December, 20%-30% off the entire store. And for any purchase over $25, you will receive an additional $5 discount. 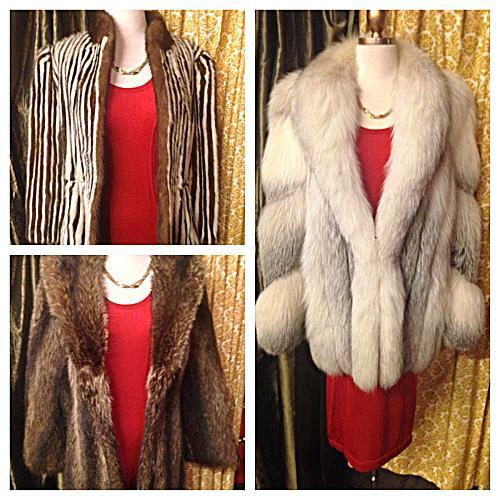 For any Instagram followers who use the hashtag #monkeygirlzboutique, you will receive an extra 10% discount. Who says you cannot be chic and budget conscious? There you have it, our list of last minute New Year’s Eve outfits. For additional tips and tricks on fashion, take a look at our articles, here.